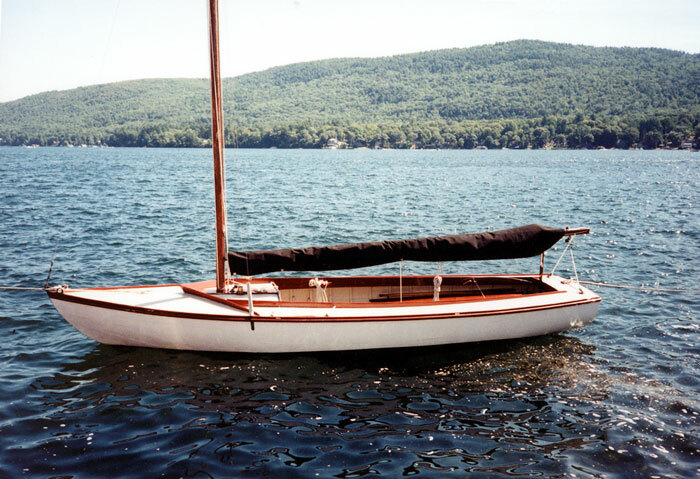 EMMY is a 1936 wooden Cape Cod Baby Knockabout (#51) built at Cape Cod Shipbuilding in Wareham, MA. EMMY is 18 feet long and has a beam of 5'10". She had been stored at Hall's Boatyard at Lake George, NY for 25 years, before being rescued by Joe O'Neill and his wife. They believe it is the oldest wooden sailing boat on the lake. The restoration left 98% of the original wood, replacing only a few of the floorboards and adding a bilge pump. EMMY was relaunched on Lake George in July 2001. Joe's email is joneill707@aol.com .